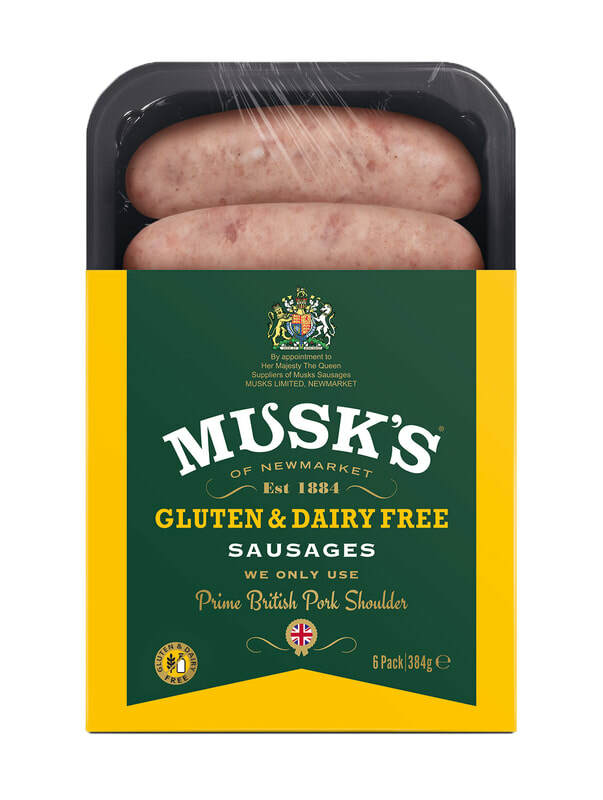 Musk's has been making premium sausages since 1884 and a holder of 4 Royal Warrants with the first warrant granted in 1907. Handmade with care using only fully traceable East Anglian pork shoulder meat, traditionally baked bread and our secret blend of spices in natural casings. Newmarket based Musk’s, have a long history of producing top quality sausages using traditional methods. The “Original” recipe is the flagship product and is the flavour that has obtained the 4 royal warrants in its history. The Gluten Free recipe is a twist on the Original recipe in that the bread has been removed and replaced with long grained rice, but still uses the same pork shoulder, spices encased in a natural skin. Pork and Leek is a classic flavour the Pork and Aspall Cyder uses Aspall Premier Cru cyder along with chuncks of apple to create an award winner recipe. In November and December a Christmas recipe sausage is produced which contains amongst others things; Cranberries, Chestnut puree, mixed peel, sage and onion and Demerara sugar, to truly bring out the taste of Christmas. All the bread is sourced from local bakeries and the factory is SALSA accredited and this helps to consistently create a succulent product for which they are renowned. ​At less than 5% fat these newly created Slim and Slender sausages are perfect for the more calorie conscious customer. With 8 sausages in a pack to help control portion size and typically 67 calories per sausage, they still retain the succulence of a Musk’s sausage. 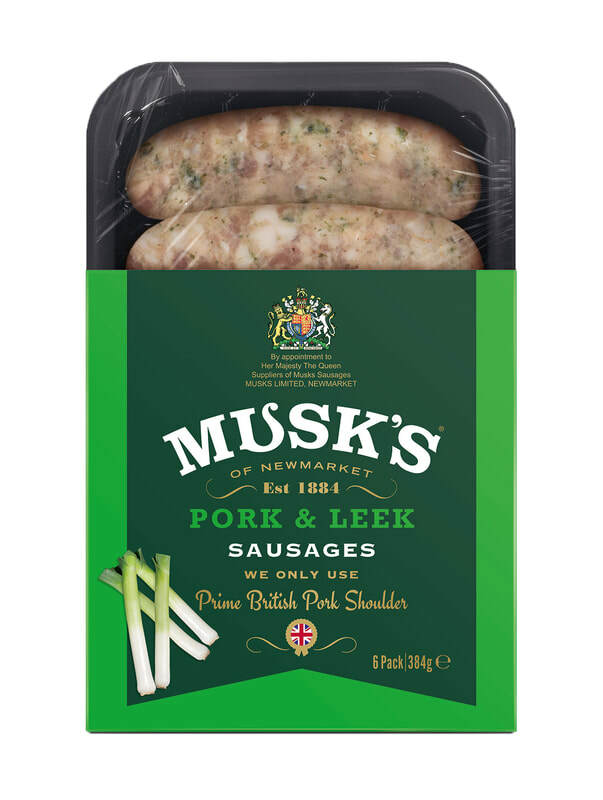 Not wanting to compromise on quality we only use locally sourced, pork shoulder in our sausages, so you can be sure that with Musk's, you are always eating a premium product. Our sausages and sausage meats include the same blend of secret spices as always - The Original Newmarket sausage.